Visit us at our dive centre in Studley! 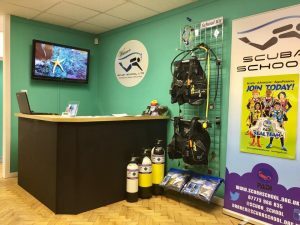 Alternatively, if you have any dive queries or questions then please do not hesitate to contact Darren/Fiona: 07773-966-835, use the form below or email us on info@scubaschool.org.uk and we will be happy to answer any questions you may have. Want more information on our courses or do you need dive equipment advice? Then just complete the below form and press submit. Our friendly staff and instructors are here to help and will do what they can to answer your dive related questions.